Based on the author’s discoveries about her great-grandfather, this stunning debut novel that “powerfully portrays the inner struggles of ordinary people moved to do extraordinary things” (Booklist) takes place over three days during World War II when members of a German family must make “the sometimes impossible choice between family and morality” (Helen Simonson, author of Major Pettigrew’s Last Stand). When World War II breaks out, Edith and Oskar Eberhardt move their family—their daughter, Marina; son-in-law, Franz; and their granddaughters—out of Berlin to the quiet town of Blumental, near Switzerland. A member of the Fuhrer’s cabinet, Oskar is gone most of the time, and Franz begins fighting in the war, so the women of the house are left to their quiet lives in the village. But life in Blumental isn’t as idyllic as it appears. An egotistical Nazi captain terrorizes the citizens he’s assigned to protect. Neighbors spy on each other. Some mysteriously disappear. Marina has a lover who also has close ties to her family and the government. Thinking none of them share her hatred of the Reich, she joins a Protestant priest smuggling Jewish refugees over the nearby Swiss border. The latest “package” is two Polish girls, and against her better judgment, Marina finds she must hide them in the Eberhardt’s cellar. Everything is set to go smoothly until Oskar comes home with the news that the Führer will be visiting the area for a concert, and he will be making a house call on the Eberhardts. “With jaw-clenching suspense and unexpected tenderness” (Jacquelyn Mitchard), The Good at Heart is an “engaging…rich…evocative” (Library Journal) portrait of a family torn between doing their duty for their country and doing what’s right, especially for those they love. This reading group guide for The Good at Heart includes an introduction, discussion questions, ideas for enhancing your book club, and a Q&A with author Ursula Werner. The suggested questions are intended to help your reading group find new and interesting angles and topics for your discussion. We hope that these ideas will enrich your conversation and increase your enjoyment of the book. 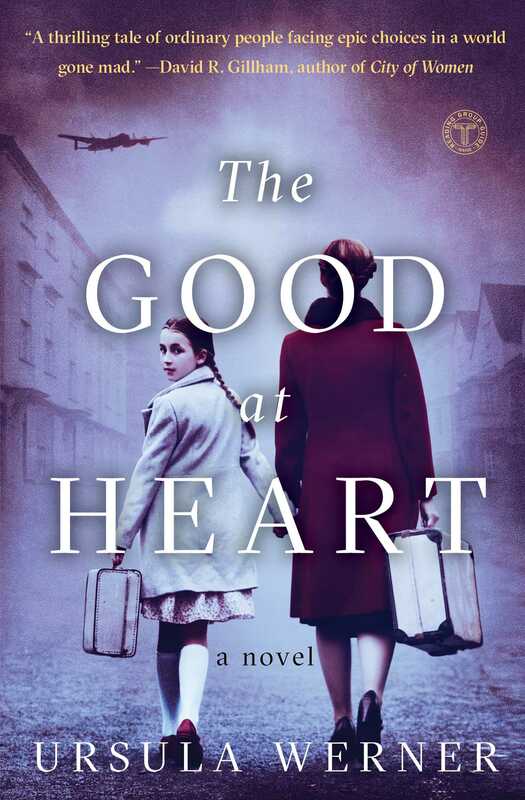 Set in the quiet town of Blumental in southern Germany during World War II, The Good at Heart tells the story of one family, the Eberhardts, and their complicated quest to do right by one another during a time of turmoil, confusion, and terror. Narrated from the perspective of multiple characters, including Edith, the matriarch of the family, and Rosie, her spirited five-year-old granddaughter—this story considers the complications of life for ordinary Germans living in a police state. The Good at Heart is partly a love story, partly a wartime thriller, and partly a meditation on good, evil, and the space between good and evil, where so many of the characters exist. 1. The Good at Heart opens with a famous epigraph from The Diary of Anne Frank: “In spite of everything I still believe that people are really good at heart. . . . if I look up into the heavens, I think that it will all come right, that this cruelty too will end, and that peace and tranquility will return again.” How does this epigraph work as a lens through which to read the novel? To which character(s) do you think “good at heart” refers? 2. In chapter 1, the narrator tells us that “for the Eberhardt family . . . the house was enough.” Why do you think Edith and Oskar spent so much of their marriage fantasizing about the house in Blumental? What symbolism does the small house hold for the couple? For the family? 3. Discuss the relationship between Oskar and Marina. Would you call their relationship strained? Typical? Problematic? Do you think the two are truly at odds in terms of ideology? Why or why not? 4. A possible theme emerges in chapter 9 when Rosie notes, after Hans Munter’s narrow escape from death, that the rope was still tied to the tree, “swinging slowly back and forth, a reminder of how suddenly things could change.” Do you think the swiftness of change is a theme in the novel? Why or why not? 5. What do you think is Marina’s goal in joining Johann’s underground group? Does she want simply to help right the wrongs of the regime, or is it something more? Do you think helping refugee children assuages her guilt about her crumbling marriage and her affair? 6. In chapter 10, Marina says that walking through her mother’s garden and breathing in the scent of roses are “pockets of comfort.” Where else does Marina find comfort? What about Edith? Johann? Lara? Sofia? Rosie? 7. Revisit the scene in chapter 13 when Edith and Sofia get trapped underground during the bombing of Berlin. Why do you think Sofia escapes to her “reveries” of blue as a result of this traumatic event? What is the connection between being trapped in the basement and the desire for blue? Do other characters in the novel “escape” in their own way? How so? 8. For Johann, the question of participating in an assassination attempt on the Führer is inherently complicated because of his vocation. He wonders, “would a God who gave Moses the Ten Commandments condone assassination” (see chapter 14)? Ultimately, how does Johann conclude that delivering the suitcase is part of God’s will? Do you think he abandons his faith temporarily in order to fulfill this obligation, or is he acting in accordance with it? 9. Discuss the three-part structure of the novel. What symbolism can you glean from this structure? How does the compression of time in the novel influence the characters’ decisions? Consider Marina, Johann, Erich, and Oskar in your response. 10. What do you think of Erich Wolf? Is he a sympathetic character? How does his sudden arrival in town prefigure his sudden death? 11. Were you surprised to discover that Rosie is Erich’s daughter? How does Rosie seem distinct from her older sisters? Do you have the sense that in the end Rosie and Lara know the truth about Rosie’s father? 12. How does the tension between Marina’s decision about whom to love—Franz or Erich—mirror the tension in the house as they prepare for the Führer’s visit? Are both equally doomed enterprises? Is there any way that Marina could have changed the outcome and not lost both loves? Is there any way the family could have avoided losing Oskar? 13. In chapter 22, Edith ponders the notion that “perhaps the only way to forgiveness was through pain.” What pain(s) do you think Edith is referring to in this moment? Does she ultimately find a way to forgive in the end? Who or what does she forgive? 1. For the characters in The Good at Heart, choices between right and wrong are never clear-cut. In many ways, all the characters had to make tough decisions about what was right in the moment—sometimes with terrible consequences. “Our choices are not always what they seem to others,” in chapter 15. Oskar tells Marina. With your book club, discuss this quote in light of Oskar’s job. To what “choices” do you think he is referring? Does this quote act as an omen for the ultimate choice he has to make to disappear from his family—or do you think that disappearing was not his choice? Consider all the tough choices the characters in the novel have to make, and share a time when you were faced with a dilemma in which you had to make a choice that could have seemed wrong from another point of view. How did you manage to make the decision? Did you gain any hindsight after the choice was made? If you had the chance to do it all over again, would you? 2. Edith’s statue of Daphne in her garden becomes a kind of sanctuary for the women in the house, a place to sit and contemplate difficult decisions or the unlikely roads that led the family to have the Führer in their living room. With your book club, read the myth of Daphne: www.greekmythology.com/Other_Gods/Minor_Gods/Daphne/daphne.html. 3. Afterward, discuss the myth as a group. Why do you think Edith—and later Marina—feel drawn to the statue? Can you note any connection between Daphne’s story and the story of these women? 4. Despite the turmoil aroused by the Führer coming to the Eberhardts’ home, much care and attention is given to preparing the best desserts to accompany coffee and tea. Host an afternoon tea for your book club, and prepare some of the same treats Edith and Mariana made, including a Linzer torte (www.joyofbaking.com/LinzerTorte.html) and a strudel (www.quick-german-recipes.com/german-apple-strudel-recipe.html). Over tea and coffee and the desserts, discuss what it must have been like to have Hitler sit at your table. How do you think Edith, Oskar, Marina, and the others managed? Share a time when you felt distressed about a guest arriving in your home. 5. The work Johann and Marina do to offer safe harbor to Jews during the war is difficult in part because of Oskar’s prominent position in the Führer’s cabinet. Difficult—even impossible—decisions are often the focus of Holocaust narratives. Host a movie get-together with your book club and watch Sophie’s Choice (1982). Discuss how Sophie’s Choice parallels the choices the characters in the novel have to make. What do you think you would do if faced with such impossible decisions? The Good at Heart is your debut novel. Can you share with us what it was like to write this story? How much is inspired by true events in your family? How much is fictionalized? The basic questions of The Good at Heart—what might be the stresses and difficulties facing a German family living in the midst of World War II if the patriarch of that family was a high-ranking official in the totalitarian government—came directly from my own family. My great-grandfather, Hans Ernst Posse, was a cabinet secretary under Hitler. That fact, along with the silence of my family surrounding his activities during the war, weighed heavily on my psyche for many years. I wondered what he knew and didn’t know, what he did or didn’t do, and I was equally curious about what he told his wife and children—whether they asked him about his activities, or whether they were too afraid to do so. Writing The Good at Heart allowed me to examine, imaginatively, not only those questions, but also the larger question of the collective or cultural guilt that settles upon a nation ruled by a dictator like Hitler. I also grew up with stories from my parents about what it was like to live in southern Germany during the war. To a large degree, these stories conflicted with the images of Germany and German civilians during the war that I had seen on television and in film. So my secondary imaginative endeavor in writing the book was to present a snapshot of a small southern German town during wartime—where people might try to live their lives as normally as possible, given the police state surrounding them, and the circumstances of war. The town of Blumental, though completely fictional, is based upon a real German town in which my mother currently lives, and many of the physical locations—including Birnau, the pink church on the lake—are real. And there is a real historical truth underlying some of the events described in the book: for example, Hitler really did visit a composer who lived in that town, and the mayor of the town was almost murdered by a sadistic SS officer. But the vast majority of the plot details are fictional. Why did you choose to structure the book around the three days leading up to the assassination attempt on the Führer? Is there an argument to be made that this novel has a clear beginning, middle, and end? Because I wanted to tell my story from multiple points of view and because there were a number of different, possibly confusing, plot lines, I decided to limit the time frame of the novel to three days. Structurally, that kept the story from becoming too unwieldy. Also, by focusing on just three days, I was able to present a more detailed picture of day-to-day life in Blumental—what might market day have looked like during the war? What kinds of games might the kids have played? In my mind, there is a distinct structure to the book, beginning with Erich’s arrival in town (quickly followed by Oskar’s arrival), leading up to the tea with the Führer, and culminating in the assassination attempt at the concert and its aftermath. It is noteworthy that you have many different narrators throughout the course of the novel, from Rosie to Marina to Johann to Erich. Why did you decide to tell the story from so many points of view? Ultimately, whose story is this? My hope in using a multitude of points of view was to present a realistic picture of the different attitudes and perspectives of different Germans toward the war, and toward the regime that governed them. In particular, I wanted to focus on the complex questions confronting people who opposed Hitler’s policies in principle, but found themselves constrained by the deadly threats of his police state. Marina, Johann, Erich, and even Edith, all oppose the Führer, but they face different obstacles in deciding what to do to voice their opposition, or whether to voice it at all. The only character whose viewpoint we never hear—and I knew from the beginning that he would remain silent—is Oskar. By not giving voice to Oskar’s thoughts, I wanted to put the reader in the position of myself and countless other Germans who never really knew what people like Oskar were up to. I wanted to make Oskar as likable as I knew my great-grandfather was, someone who was loved and respected by his family members and neighbors. What does it do to your image of such a person when you learn that they might have been involved in a reprehensible and horrendous crime? And do you temper any censure you might feel when you remember the context of Hitler’s police state, and the fact that people during that time weren’t really free to make decisions as we are today? Ultimately, although The Good at Heart tells the story of the Eberhardt family, I hope it tells a larger story as well: that of the average German person living under the Nazis during World War II and confronted with harrowing rumors about the activities of that regime; the story of someone who may have wanted to help the oppressed, but might not have known how to do so effectively, or how to do so without bringing danger to herself or her family. And beyond that story lurks, for me, an even bigger principle, applicable to so many other situations—that we really can’t judge the actions of other people without imagining what it is like to be in their place, considering the totality of all the influences surrounding them. Even then, we can’t judge others, I think, because everyone has different instincts, values, and priorities. Do you relate most to one character? If so, who is it and why? I probably relate most to Marina, though I can identify with aspects of all the characters. I know what it is like to raise three daughters and to experience the intense fear that some of the decisions you make might cause them pain. I also believe, like Marina, that it is possible to love deeply more than one person in a lifetime, even at the same time. I’m not sure that I would have had the courage—or bravado—that Marina has, in bringing refugees to her house at the same time as the Führer is coming to tea, especially where that action puts the lives of her entire family in danger. But I admire her for it. Author Susan Meissner wrote that The Good at Heart offers a “fresh perspective on what we are willing to surrender for the greater good.” What are the characters in your novel asked to surrender? In the end, does good triumph over evil? In the end, two of the characters, Erich and Oskar, surrender their lives for what they see as the greater good. Erich risks his life in order to try to kill the Führer. Although the assassination attempt fails, and Erich is executed, the fact that there even existed an internal resistance group trying to remove the Führer is a triumph of good over evil, in my mind. Ultimately, too, Erich has to act in accordance with his conscience. As a single man, he has a certain freedom to engage in risky activities, without implicating family members. His participation in the resistance is an internal moral triumph; he can go to his death knowing that he was true to certain principles he believed in. As for Oskar, he ultimately sacrifices his life so that his family can remain safe. (As a side note, my mother was very angry with me for killing off Oskar. She kept asking me to find a way to let him live.) At the time Oskar goes with Captain Dietz, he does not know that Marina has already removed the refugees, so he is trying to avoid a house search. In that sense, Oskar’s sacrifice is more heartbreaking, because the reader knows it was unnecessary. Nevertheless, I consider it a triumph, because it’s a demonstration of a father’s overwhelming love for his daughter, and his willingness to do anything to protect her, his wife, and his grandchildren. Although I love Erich and Oskar, and I love dear, gentle Sofia, and they all die, I cannot say that evil triumphs. What triumphs, in my mind, is life. That was the revelation of Rosie’s pregnancy in the epilogue: life goes on, life endures. War takes its victims, but there are survivors, and they can be strengthened through their suffering, and they can march forward to create something new. Discuss the title. Would you say that all the characters—and maybe by extension, all of us—are truly good at heart? I have to say that I am in awe of Anne Frank’s ability to believe that people were basically good at heart, in light of everything she had experienced in her life up to the time she made that statement. Every time I reread her diary, I am struck by how beautiful and insightful the writing is, for a girl only thirteen years old. I can only imagine—and mourn the loss of—the extraordinary writer Anne would have become, had she not been murdered. Yes, like Anne, I do think people are basically good at heart. As a Quaker, I believe there is “that of God in every one,” and it is relatively easy for me to equate the concept of a God with goodness and love. Of course, it is difficult to reconcile this belief with the historical reality of a person like Adolf Hitler, who truly seems to have been evil incarnate. With respect to Hitler and other people who sow fear and hatred, I think that the inherent goodness of a person can be overwhelmed or shackled by negative human instincts, developmental circumstances, and/or societal forces. The light of goodness in such people has been extinguished, in some cases permanently, in others, hopefully not. Because this novel was inspired by events in your own family, did you encounter any particular challenges in telling this story? Or, did the personal aspect of the novel give you better access and insight into the lives of ordinary Germans during World War II? My mother was very concerned about factual accuracy in the book. Her family, the Posses, was the model for the Eberhardts, and she still lives in the town that Blumental was based upon. I kept trying to remind her that the book was fiction and that Oskar was not really Hans Ernst Posse, Edith was not Margaret Posse, etc. But it was hard for her to embrace that fictionalization, particularly when she was worried about the reactions of people who might see themselves as characters. I recently visited my mother in Germany, and we were invited to have coffee with a family in the neighborhood. At one point, we began talking about the novel, and our discussion evolved into a rich and fascinating recitation of events in the town during the war. It was there that I learned for the first time about a rumor that Hitler had visited the town several times, because he was friends with the wife of a composer who lived just down the street. I thought that I had completely fabricated the Führer’s visit to Blumental, but apparently, there might be some truth to that story! I also learned that our neighbors hid a Jewish family in their house overnight so that they could be smuggled over the border to Switzerland. These were stories I had never heard, and I hope that this novel will foster similar discussions, especially as the generation of people with firsthand knowledge of World War II is growing older. If Franz and Erich had not died, what do you think Marina would have done? Would she have stayed married to Franz or run away with Erich? Along similar lines, does the end of the novel imply that Marina and Johann are together? Ah, well, in my mind, this question touches on the much bigger topic of whether authors create and control their stories, or whether the stories and characters take on lives of their own. A few years ago, I had the privilege of hearing Kazuo Ishiguro speak about his writing, and he said at one point that nothing any of his characters did was a surprise to him, that in his experience, the author was always firmly in control of the story and its details. That, however, is not my experience at all. There were several points during the writing of this novel when I had absolutely no idea what was going to happen. I had to step away from the writing for a time and let the story reveal itself to me. And it always did, usually while I was on a walk or running through the forest with my dogs. So I can’t really say whom Marina would have chosen, because only she can know that. But I like to think that Edith’s statement to Marina in chapter 18—that Franz deserved to be married to someone who wanted to be married to him—might have allowed Marina to leave her marriage without too much guilt. Similarly, I can’t say for sure that Marina and Johann end up together. In fact, the ending came as a complete surprise to me. I had no idea Johann was going to pop up again in the epilogue. I had just put Edith and Marina in the garden, talking about forget-me-nots, when Rosie came out of the house, and lo and behold, there she was, pregnant! And next thing I knew, Johann was heading through the grass to officiate at her wedding. There is a subtle kind of feminism in the novel as Edith and Marina—and Marina’s three daughters—form the central focus of the story and represent the stronghold of the family dynamic. Was it your aim to offer a female perspective on the war? How do you think their gender contributes to the choices the characters made—or do you? So I don’t think I consciously set out to present a female perspective on the war, but in retrospect, there may have been some unconscious instincts toward that end. While I have read enough memoirs by male (and more recently, female) soldiers to know that the reality of fighting in any kind of war is horrendous, I think that there are unique hardships in being left behind on the home front while your loved ones are off at war. I wanted to give voice to some of those difficulties—maintaining a façade of hope and cheer for your children, even as fear and anxiety over the safety of your loved one gnaws at you day and night; offering your loved one unequivocal support by phone or telegram or mail, even as you yourself might desperately need comfort or reassurance; struggling to keep a household running during a time of rationing or shortages so that life seems as normal as possible. I think the women of The Good at Heart make some of their choices not so much because they are women but because they are mothers. It is the nurturing instinct to take care of another human being, to put his or her well-being ahead of their own, that informs many of their actions. I don’t believe that kind of instinct is necessarily limited to women. But I do believe that if ninety percent or more of the earth’s leaders had the instincts of mothers, we would live in a vastly different world. What would you name as the major theme(s) of the novel? I have no doubt there are many more themes in the novel than the ones I might identify, but one of the major themes in my mind is the strength of family. All the adult Eberhardts—Edith, Marina, and Oskar—cherish their family and prioritize its cohesion and safety. Edith focuses on maintaining domestic stability during wartime. Marina struggles mightily with the passion she feels for Erich, which pulls her away from Franz, her parents, and her children. And Oskar offers his life as the ultimate sacrifice to keep everyone else in the family safe. The importance of family ties during war is, of course, nothing new. But I do think that keeping that theme in mind gives us some insight into the conflict many Germans faced when they considered what actions, if any, they might take to oppose Hitler and his policies. Which brings me to another concept that I hoped to express in the novel: the shortsightedness of a black-and-white approach to history. When you really look at historical situations closely, trying to consider all the circumstances surrounding difficult questions, I think it’s almost impossible to view them in sharp contrast. From the distant perspective of the future, looking backward, historical questions always appear more black and white than they actually were at the time. I don’t mean to deny that terrible incidents of hatred and violence—by both actors and onlookers, Nazis and ordinary Germans—took place in Nazi Germany. Undoubtedly and tragically, they did. But I think we should be careful before we assume that all Germans were complicit in and sympathetic to such incidents. My novel suggests that history’s truth, if it can ever be determined, is more gray. That’s one of the reasons I love visiting my mother’s home in southern Germany in the winter: gray is the predominant color over the Bodensee in November and December, and there are countless shades of it. The gray reminds me to keep my judgment in check; to temper my preconceptions about other people; to slow down, look, and listen to everyone and everything, because in fact we all know so little. Anne Frank’s quote provides a lens through which the reader can come to understand the characters and their motivation to do good. Was the Diary of Anne Frank an inspiration for you in writing this novel? Can you tell us other novels or memoirs that inspired you as you wrote? I had read the Diary of Anne Frank long before I wrote the novel, but what I am struck by, each time I read it, is what I suppose I would call its relative “ordinariness.” Here is a young girl, forced during wartime into hiding in a relatively cramped space with seven other people, under constant threat of discovery and either execution or deportation to a work camp—and she still fills her diary with humor, complaints about the foibles of others, and run-of-the-mill adolescent angst and self-analysis. That human ability to create normalcy, even in the context of an ongoing fearful and uncertain situation, shaped how I wanted to present my story. Because in the midst of the war—Captain Rodman’s haphazard firing of machine guns through the streets, an underground effort to smuggle refugees into Switzerland, and a plot to assassinate the Führer—the people of Blumental are living their lives as normally as possible. They are going to market, they are inviting each other for coffee, they are gossiping, they are going to choir practice. I consider that instinct to establish normalcy part of our survival instinct, and it is an amazing demonstration of the adaptability of the human spirit. There were many books and memoirs that informed and inspired The Good at Heart. I read numerous biographies of Hitler, which so cluttered the bookshelves next to my front door that I began to fear what people would think of my politics when they entered my home. More inspiring were the biographies and writings of Dietrich Bonhoeffer (upon whom Johann is very roughly modeled), whom I consider one of the most admirable men in history. And I was fascinated to learn about the activities of the German resistance, especially as recounted by Joachim Fest in Plotting Hitler’s Death and Peter Hoffmann in Stauffenberg: A Family History. Also, Barbara Demick’s book Nothing to Envy, about life in North Korea, was an invaluable resource for understanding the reality of life in a police state. Are you working on a second novel? Can you share any plans with us for future projects? The project I am currently working on is a mixture of memoir and history, a story of growing up in South Florida in the 1970s—a tale fraught with backyard alligators and flying cockroaches and sudden thunderstorms spawning waterspouts around a small family sailboat. One future project I am particularly excited about, but for which I have yet to do an enormous amount of research, is a historical biography of a well-known biblical figure. Ursula Werner is a writer and attorney currently living in Washington, DC, with her family. Born in Germany and raised in South Florida, she has practiced law while continuing her creative writing, publishing two books of poetry, In the Silence of the Woodruff (2006) and Rapunzel Revisited (2010). The Good at Heart is her first novel. "Its title recalling the poignant diary entry Anne Frank left behind as her family was lead to the death camps, The Good at Heart is a brutal and beautiful story that answers ancient questions about what “good Germans” were thinking as their country descended into madness. Poet Ursula Werner packs her debut novel with jaw-clenching suspense and unexpected tenderness, and an ending that would break the heart of a stone." 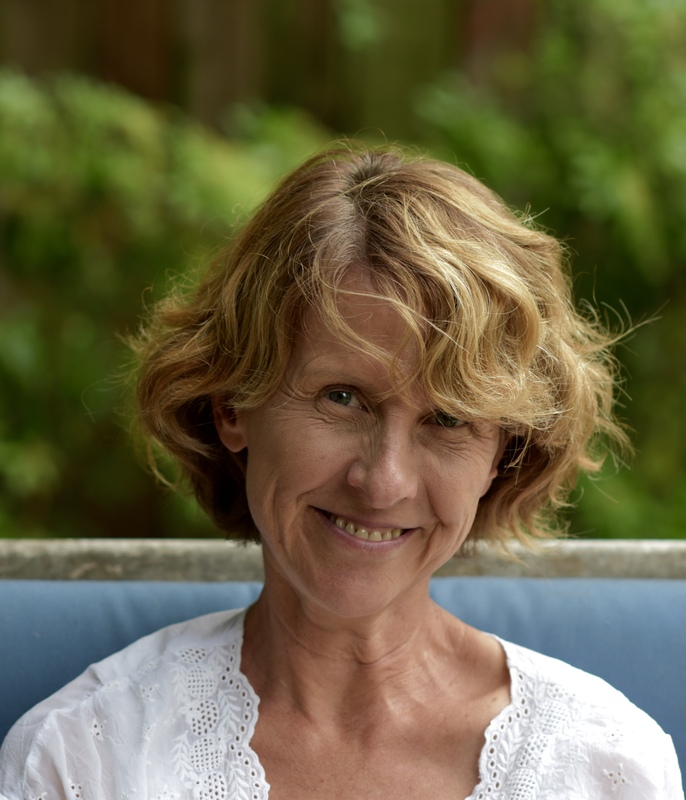 “With The Good at Heart, Ursula Werner has written a book that lionizes the human experience. Hopeful and tragic, poignant and inspiring, it's a story made all the more compelling because it springs from the truth. A thrilling tale of ordinary people facing epic choices in a world gone mad." "With skillful eloquence, Ursula Werner weaves a compelling tale of ordinary people living in extraordinarily complex and character-defining times. Poignant and moving, this World War II story paints a fresh perspective on what we are willing to surrender for the greater good." "Inspired by discoveries about her own great-grandfather, Werner’s first novel powerfully portrays the inner struggles of ordinary people moved to do extraordinary things in the name of family, God, and country." "The author does a wonderful job of presenting the moral dilemmas the family faced as a whole, and as individuals, as well as the conflicts of belief between family members....Many were 'good at heart'--caught up in an evil from which they could not escape without deadly consequences."